I donate clothes all the time, but to be honest, I’m not sure if all those clothes actually end up in someone else's hands or the trash. But I tell myself that it’s something—it's better than throwing them away. So I liked the idea of donating clothes for a specific purpose. And not just throwing in every $5 tank, but actually choosing some really nice pieces and knowing they might actually make a difference to someone else. 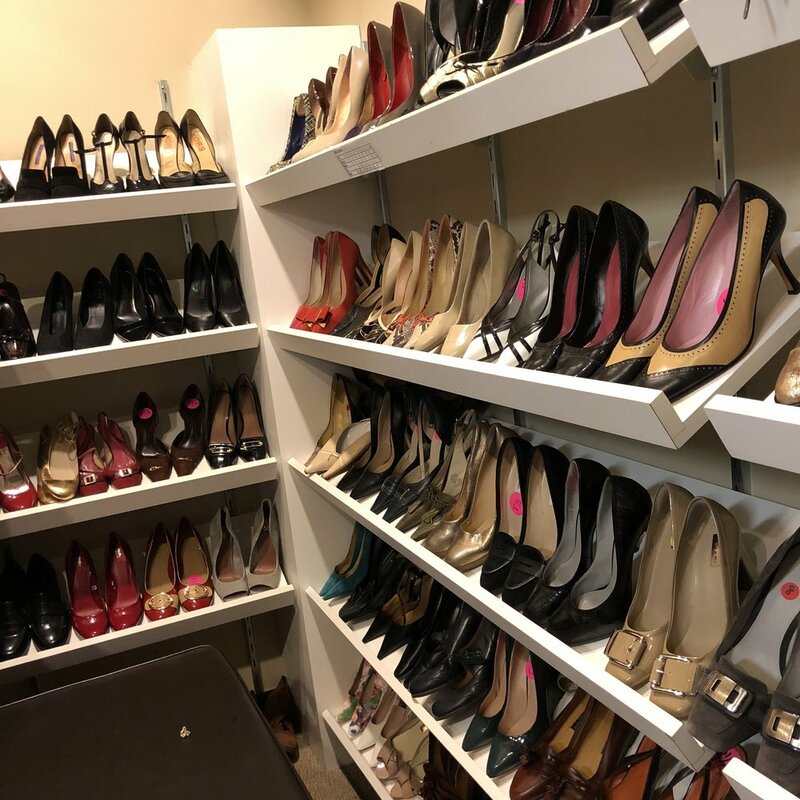 I decided to donate to Dress For Success, an organization that dresses women for job interviews—and if they get the job, the workplace. This whole idea struck a nerve with me because I know first-hand the power that the right clothes can make. Growing up with five kids in my family there wasn’t a lot to go around; we had the essentials, and we cherished what we had. When I got older and moved to New York City, I ran a bar for eight years and my still-slim wardrobe became only things that I could sling beers in. So when it came time for my first church experience in the city, meeting my boyfriend's parents, going to a meeting, or going to a wedding for the first time, I was, clothing-wise, totally unprepared. I felt embarrassed and like I was less-than. They just lent me clothes, but they made me feel like a different person. It sounds silly, but clothes can have that impact, and when you’re talking about going on a job interview for the first time, the clothes you wear are a big deal! So though I’ve never actually held a 9 to 5 position, I searched my closet for dresses, sweaters, and blouses that were work-appropriate. And in the end, I’m pretty sure I gave them the most colorful donation ever! 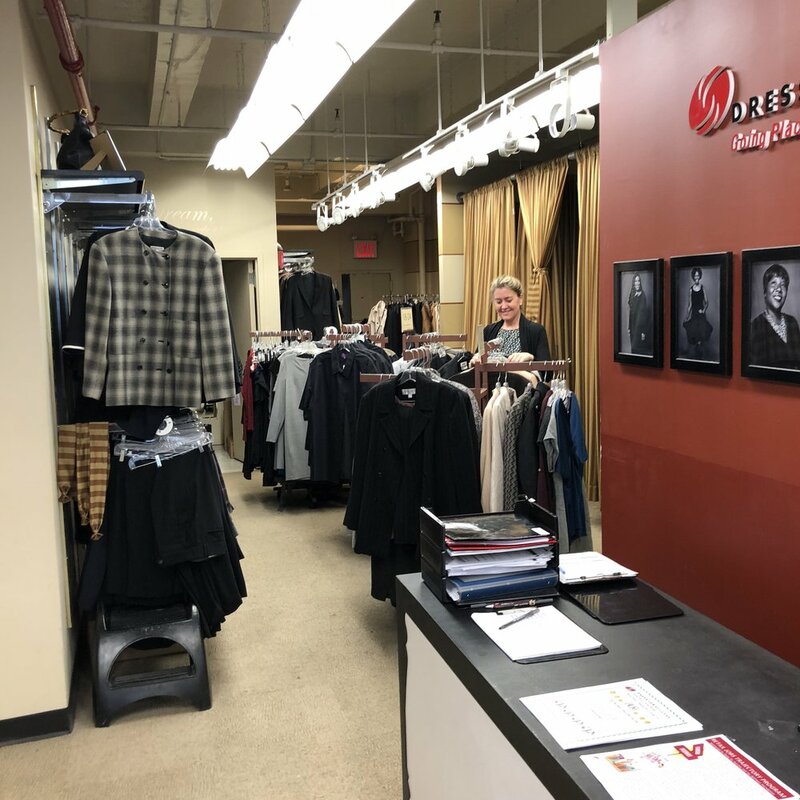 The clothes are important, but Dress for Success is also giving these women training on how to handle interviews, how to keep jobs once they secure them, and so much more. We all need a little help sometimes, and I’m so happy that I took a minute to make sure the clothes I donated went to the right place.